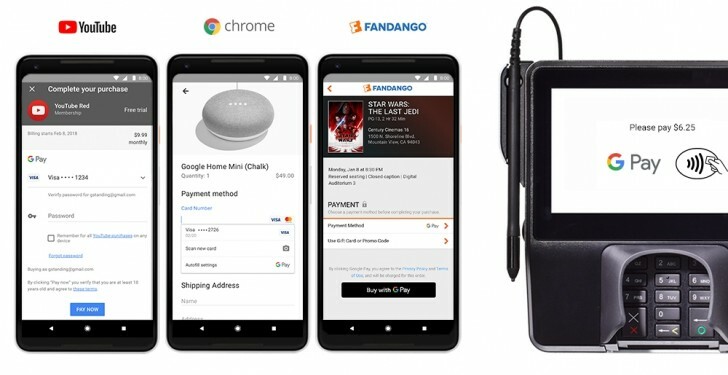 Google has announced that it is collating all its payment systems, primarily Google Wallet and Android Pay, under one brand called Google Pay. Henceforth, the company will use the Google Pay logo and branding wherever the aforementioned payment systems appeared. As far as the users are concerned, nothing really has changed for them. Just that instead of seeing Android Pay logo when paying for things with NFC or Google Wallet while purchasing content on the Play Store, users will now see the universal Google Pay logo. Google has announced that Google Pay is already available at services such as Airbnb, Dice, Fandango, HungryHouse, Instacart and more. In the future, Google said that it will bring "these experiences to Tez users in India", without clarifying on what exactly that means. Perhaps Tez too will be branded as Google Pay, even though it is not the same as Google Wallet or Android Pay as it uses the UPI payment system made in India.